We’re still putting four-bar linkages through their paces. 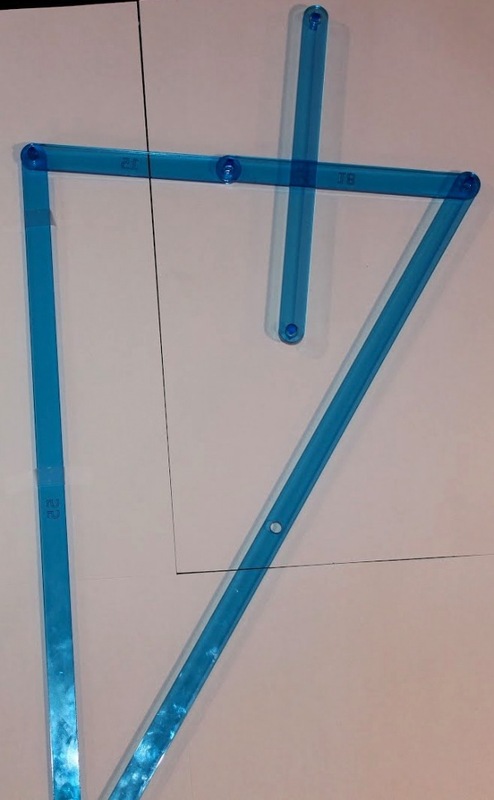 See the introductory column in this series for the MoMath Linkage Kit, an introduction, and general instructions. Ingredients: A 55-bar (A), 60-bar (B), 18-bar (C), and 15-bar (D); a 25-bar; and four linkers. 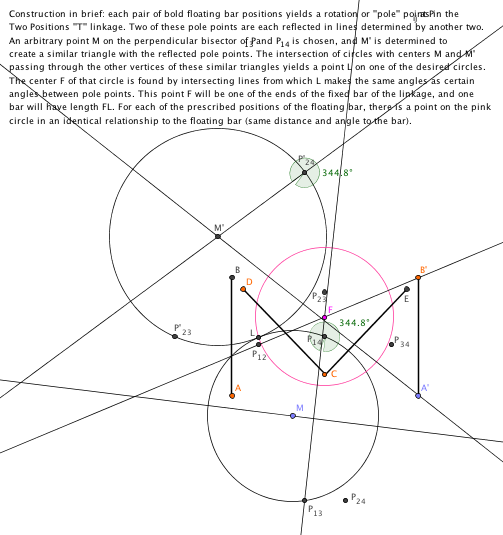 Directions: Link A to B to C to D, and then affix the 25-bar at right angles to C, about two-thirds of the way from B to D. This 25-bar will take on the positions of the four strokes of a capital M. Its endpoints do not remain on any circles; but those of bar C do, and the 25-bar is in a fixed relationship to bar C. In any case, your linkage should look like this: To use: Fix A vertically (as shown above), and rotate B to move the 25-bar successively into the four positions of the strokes of an “M”. Note that there is a slight trick, in that the link above is at what’s called a “dead point” — the joint between C and D can bend either up or down for B to rotate. You have to ease it one direction to get some of the strokes of the M, and then go back and ease it the other way to get the remainder. Here are all of the positions superimposed, once again thanks to the GIMP: (Note the gaps between the diagonals and uprights are as designed, see the construction sketch above.) By now we’ve created the letters “M,” “A,” and “T” for you with linkages, so I will leave you with a reader challenge: create a linkage which lays out a letter “H”! 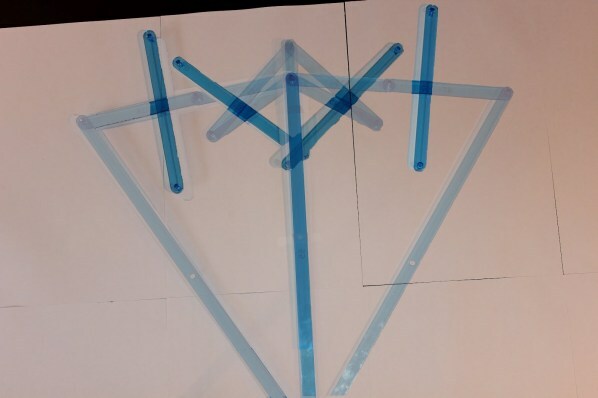 Send pictures of your creation to mondays@momath.org. This article first appeared on Make: Online, August 27, 2012.